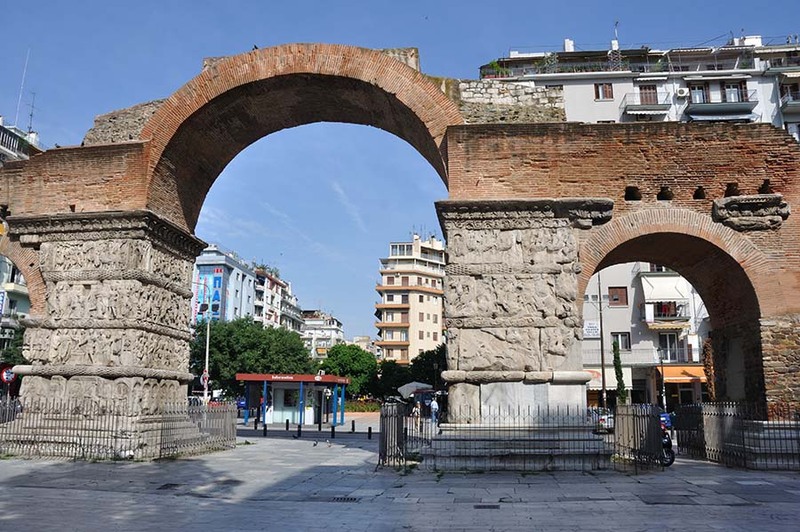 Organic and integral part of the huge and magnificent palatial building complex of Galerius Caesar , which developed in the southeastern part of Roman Thessaloniki, was the city’s Hippodrome. 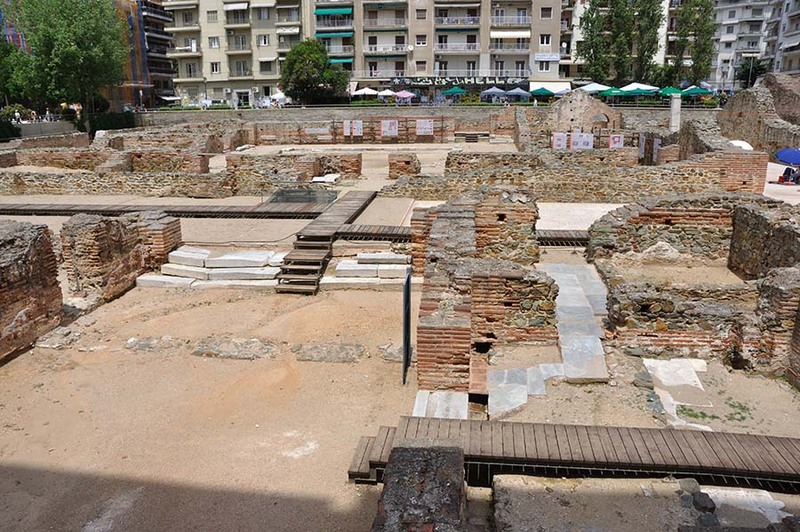 It was built on the verge of the 3rd to 4th century AD and it occupied the area between the main Galerian palace and the eastern part of the fortification wall of Thessaloniki. It is estimated that its total area amounted to about 30,000 square meters and its length ranged between 400 to 500 square meters. Also, it is probable that its main entrance was on the north side, near the Via Regia (the great and important road that crossed horizontally the city, passing under the Arch ) ,while it’s speculated that its bezel reached the height of today's Metropolis street. Its track was located, in a large part, in today's Hippodrome Square. 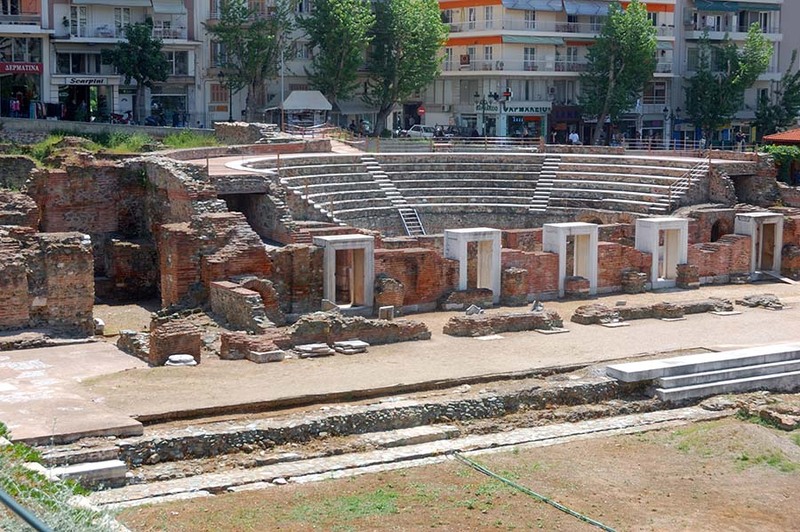 From the famous Hippodrome of Thessaloniki there are held today only a few remains, which can not be seen or visited, as they are found in the basements of high buildings. From historical sources, however, we are informed that in 390 AD the town’s people rose up against the Gothic guard, which was settled in Thessaloniki, killing the commander Vouterichos, because he imprisoned a popular charioteer on the eve of the chariots. This had tragic results: the people were trapped in the Hippodrome under the orders of Emperor Theodosius A’ and the Goths mercenaries massacred approximately 7,000 Thessalonians. Since then, the bloodstained Hippodrome did not work out again and was left in abandonment, while its bearings were reused in subsequent repairs of the western walls of the city.